I've been wanting to make something with Broccoli and Cheese this week but wasn't in the mood to make soup and I didn't feel like a Broccoli and Cheese Casserole. 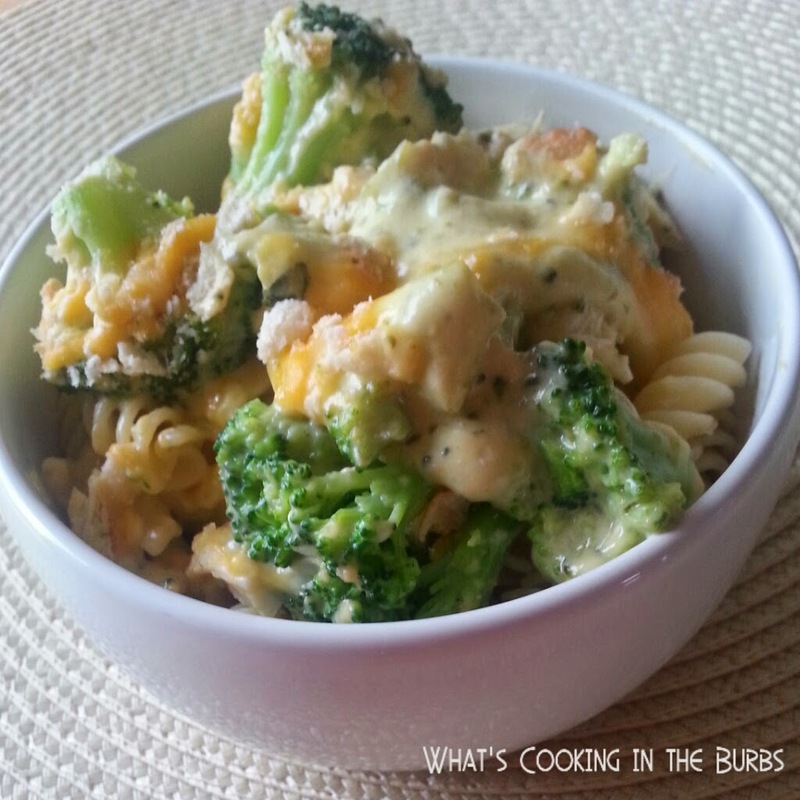 Since Chicken is so popular in my house I decided to make a Broccoli Cheddar Chicken and serve it over pasta. How can you go wrong when you combine creamy cheesy chicken with pasta? It was a winner in our house! Arrange chicken in bottom of the slow cooker. Season with garlic powder, salt, and pepper. In a small bowl combine soup and milk and pour over chicken. Cover and cook on low for 3 hours. Break chicken into pieces and top with broccoli and shredded cheese. Continue cooking for one hour. Serve chicken over hot pasta and sprinkle with crushed crackers. Enjoy! This looks so comforting and yummy, thanks for sharing! Stopping by from Get Him Fed Fridays to show some love!